Answer: Empathic children need to have their sensitivities respected and encouraged by the school. If this can happen in a school environment it can be very helpful. Typically, society or schools don’t give these exceptional children much understanding. Conventional physicians and teachers often label them as “shy,” “antisocial” or “fussy,” or they’re diagnosed with social phobia, an anxiety disorder, or depression. In addition, they may be quieter, thoughtful, deep, and gentle rather then highly verbal or assertive–which others can perceive as withdrawn. Because of these misconceptions, your role is critical in supporting their sensitivities, intuition, creativity, wisdom, and in teaching them tools to cope with the world. 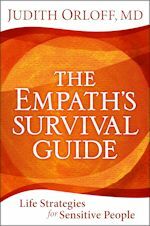 I devote a chapter to raising empathic children in my book The Empath’s Survival Guide. It’s a wonderful thing to have empathy encouraged as part of the educational system. The advantage of this is that the child learns to socialize with like minded children and peers. This can foster creativity and confidence. But home schooling is positive in certain cases where you intuitively tune in and feel this will be most helpful for the child. I applaud your efforts to tune in to find the right school for your daughter. Try that and see how it goes. You can always switch to home schooling later.